These are the most common insurances accepted by Dentists in Los Angeles, CA. We took our four-year-old to see her last week and I was terrified that she would bite the dentist's finger off, but Dr. Kelman had sent info to us about how to talk to her in advance and I'll be darned if she wasn't excited to go. We got there and it went so well - the staff is really nice, they checked with our insurance to make sure we'd be covered before we arrived, everything is super clean, and Dr. Kelman and her staff are EXCELLENT with kids. She turned a potentially horrible, traumatic day into one my daughter was excited about. My daughter even brought her bag of dental treats (toothbrush, timer, floss, etc.) to show-and-tell the next week!. Nothing scares my niece more than going to the dentist. I was on a mission to find a dentist that could put her at ease and prevent my brother from chasing his daughter out the door. So I did some research and came across Dr. Kelman. First off, she has to have the most child friendly office in town. Once we meet her she put my niece at ease and talked her through the process. For the first time she walked out of the dentist office without tears. Its safe to say that Dr. Kelman is a great child dentist who has the skills and patience to work with even the most timid child..
Dr. Michelle made my son's 1st visit to the dentist a breeze! She is so great with kids and gives them bright healthy smiles at the same time! I am SO happy we found her!. Comfortable setting, no pain, great work !. Dotty H. I am taking the time to write this review because of the extreme professionalism of Dr. David Rosenthal and the Cosmetic Dentists of Sherman Oaks. 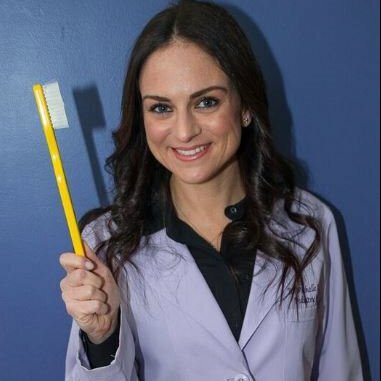 Prior to Dr. Rosenthal, I tried several different cosmetic dentists over the years that had refused to work on me because of a severe allergic reaction I had to composite material used in natural tooth filings. This dentist was the only one who bothered to get on the phone with the manufacturers to make sure any material that went into my mouth didn't contain the dyes and preservatives I was allergic to. Dr. Rosenthal is very meticulous about matching colors for fillings and crowns, which is important to having natural looking teeth. Dr. R. is the one who actually does the fillings...this is very important. The appointment ran a bit longer than expected, but that? ?s the price your pay for excellent dental care. 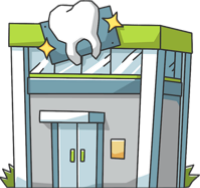 This dental office accepts a number of insurance plans, which is important in keeping the costs to a minimum. Why pay for mediocre dental care when you can have great dental care in the Sherman Oaks area from a doctor who really cares. Thanks Dr. Rosenthal?great work!.